The Chief Commercial Officer at FINCA CCO) is a member of the core Management Board with responsibility for FINCA’s Branch network. Including the staffing, products, and procedures related to this. 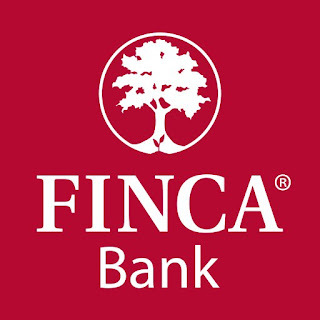 Specifically, the CCO will drive the development and execution of expansion strategy that enables FINCA meets its outreach goals leveraging on developments in Alternative Delivery Channels. These will include utilizing, Agency Banking services, and Cashless Sales Branch and Mobile Banking services. In leading this process the CCO will be responsible for working with relevant teams in Operations, Banking Services, Risk and Compliance to ensure that the processes have relevant risk mitigation factors that enable FINCA to provide Responsible Banking to its internal and external stakeholders at large. The CCO will strive to ensure that FINCA presents characteristics consistent with an ethos that will win stakeholder trust, responds to client needs and remain a key player in utilizing developments in alternate delivery channels to maintain operational efficiency and profitability. As a member of the Management Team/Board, s/he shares responsibility for the overall performance and activities of FINCA and participates in making decisions on material issues. Direct Branch Expansion strategy. Strategically develops outreach and expansion plans. Identifies new markets, regions, and clients. Coordinates with COO and MB to grow the institution through careful expansion systems and plans. Participates in the negotiation of the major project initiatives with regards to Branch network expansion. Participate in the preparation of the business plans relating to business expansion including new strategic partnerships. Working with the EXCO team and branch leadership establishes targets for effective outreach. Institutes performance and monitoring systems. Evaluates progress against business plan, budget, best practice, and FINCA standards. Provides appropriate appraisals and feedback. Ensures staff are motivated and organized to exceed performance targets. Motivates nurtures and develops staff. Trains, coaches, encourage, and mentors staff to deliver functions effectively and efficiently. Identifies and develops potential leaders and management. Considers career path and development planning. Promotes an atmosphere of teamwork encouraging a culture of equity and sensitivity to gender, class and other differences. Ensures Branches comply to internal control and regulatory policies, procedures, and systems by reviewing, developing and continually improving policies, systems and processes to comply with lending, security, human resources, and other internal and statutory requirements. Recommends appropriate changes to policy, procedures, and processes to ensure application of sound credit and risk management. As the business leader, the CCO is responsible for delivering a superior customer experience across all FINCA service delivery channels. S/he ensures that the process of customer acquisition and service delivery across all branches and other service points is anchored on delivering a consistently superior customer experience. The CCO will for that matter strategize and plan to deliver operational service excellence and ensure that the branch workforce is capable, enabled and inspired to deliver on FINCA’s brand promise, for customer improved customer acquisition, retention, and loyalty.